Sean Spicer resigns as White House Press Secretary following Anthony Scaramucci's appointment as communications director. Just six months after Donald Trump was sworn in as president of the United States, Sean Spicer resigned from his position as White House Press Secretary. While Mr. Spicer hoped to last at least a year in this position, his resignation was catalyzed by his vehement disagreement with the President’s appointment of Anthony Scaramucci as communications director. Mr. Spicer was asked by the President to stay on as press secretary, reporting to Mr. Scaramucci, but chose to decline the offer in fear of the consequences that the appointment would have on the already tense climate within the White House. “I’m not surprised that Spicer is gone, although I would have thought he would’ve been fired seeing as he became a national joke for a lot of the things he said. 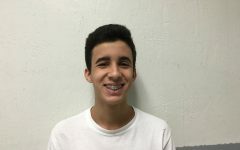 Despite that, his job was very hard and I don’t think people realized that he was usually always just following orders,” senior Audrey Aragón said. Mr. Spicer was appointed by White House Chief of Staff, Reince Priebus, and had a testy relationship with the President from the start. 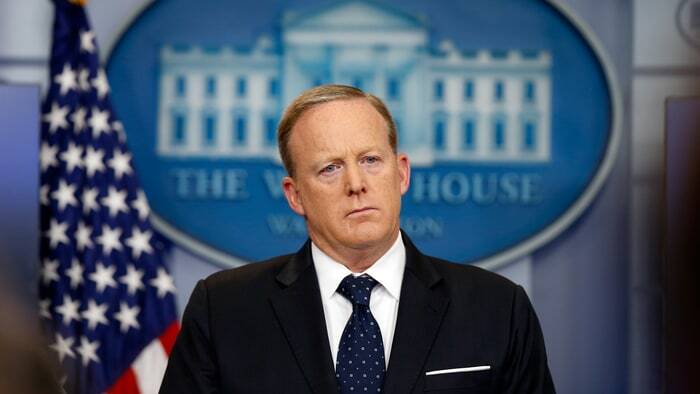 Towards the end of his time as press secretary, tensions between him and the President had escalated, with President Trump stating that Spicer was no longer “tough”. Sources say that the President’s constant criticism of Spicer’s briefings were part of the reason for which he instituted an off-camera policy. Mr. Spicer, who will be replaced by Sarah Huckabee Sanders, was growing tired of being blindsided by President Trump, and the appointment of Scaramucci was the last straw. This was a move not anticipated and opposed by many of the White House top officials, including Priebus and White House Chief Strategist, Steve Bannon. Many feared that the appointment of the New York financier and former hedge fund manager to such an elevated position would simply add to the already present rivalries between powerful entities within the White House. Despite his short time as press secretary, Mr. Spicer became one of the most well-known figures in American politics. His first appearance in the White House went on to be ridiculed by late night talk shows, and even the media, for the way in which he disputed small crowd sizes at the President’s inauguration. From then on, Spicer adopted a non-traditional style in which he called on news outlets outside the mainstream media and eventually banned cameras from the press room. His unusual way of carrying a press conference, coupled with his defensive nature, frequent misstatements and constant ire towards the media garnered him tremendous notoriety with the press, and even a skit on Saturday Night Live, in which Melissa McCarthy impersonated the former press secretary.